It's hard for me to pick a favorite superhero because quite frankly, I love them all (well, most of them). I do have to say I have an affinity towards Wonder Woman though. She's pretty amazing and so was the blockbuster movie. So if I were to pick a hero for a candle to display in the house, it would definitely be her. This gorgeous tin holds a scented candle made of palm and paraffin wax and is sold at Insight Luminaries, where you can find awesome pop-culture candles in all shapes and sizes! Speaking of candles!! Insight Luminaries does have so many different options. For those who love Harry Potter, pick your favorite 'house' and have it on display all year round. Us? We're Gryffindor fans all the way, and with this large candle is gorgeous in its details, don't you think? These candles come in small, medium and large. They're nice and heavy; definitely a great quality of candle. What about cards? Those of you who enjoy a great amount of detail on the cards you're gifting will appreciate the hard work that goes into Pop Craft Cards. I am going to give away (2) of these awesome selections to one lucky winner! 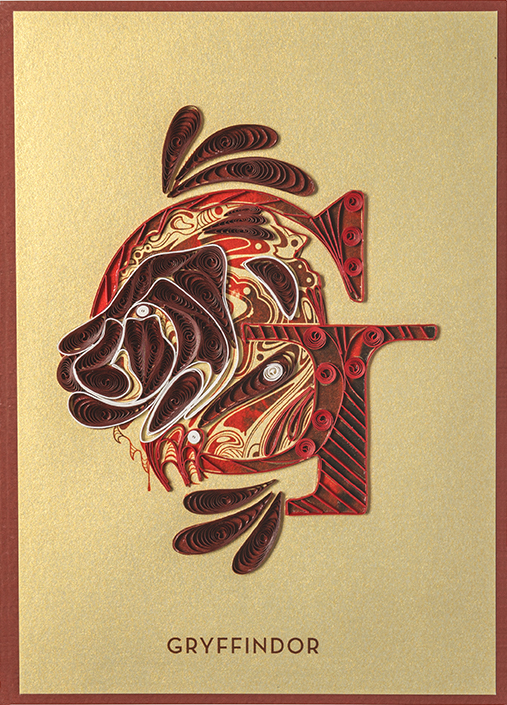 The first card is this quilled Harry Potter Gryffindor card. It has a delightfully touchable quilled front, and is blank inside, so you can write whatever you'd like. The second card I will be giving away is the Game of Thrones Dire Wolf Pop-Up. Admittedly, I haven't seen the show, but I do know it's wildly popular, and although I don't know anything about the characters, I can see that this card is carefully constructed by someone who has a lot of talent. Seriously, a lot of intricate folding went into this design and it turned out just perfect! I'm a huge fan of putting together gifts that delight the recipients, and when you add a card like this to the mix, or even gift it on its own, it's sure to be well received by those who love the show. There are many other themes too, for the cards. Right now I've got my eye on the Superman Pop-Up Card, which I think they did a fantastic job putting together. Insight Editions’ new sculpted candles and handmade cards for pop-culture fans will make great gifts for teens and adults this season. There’s a huge line of ultra-detailed designs from Harry Potter, Game of Thrones and DC Comics! These new gifts hit Barnes & Noble, GameStop, Amazon and other retailers this month, just in time for the holidays. If you are a fan of pop-culture, or you know someone who is, you can enter to win these (2) cards! Yes, both of them!! Check out the other selections as well. If you're a fan of craftmanship, these are a big win. US entrants only. There is an amazing selection to choose from! I like the House Targaryen Sigil Quilled Card. Very cool stuff! I really like the Game of Thrones: Dragon Pop-Up Card. Looks so cool! Just heard that April 2019 there will be the final six Game of Thrones episodes airing. Then HBO will do a prequel to the series. Never even knew there was such a thing as those cards. Always a superhero out there to get for someone, so perfect indeed. Anything that says Game of Thrones has my attention. I have several of their pieces and can attest that they are high quality products. I am giving Mariah the candles for Christmas. She's getting an apartment next school year and will need some fun things to decorate it with and the candles are perfect for that! Wow the paper pop-ups look so intricate!! I like the DC comics cards. 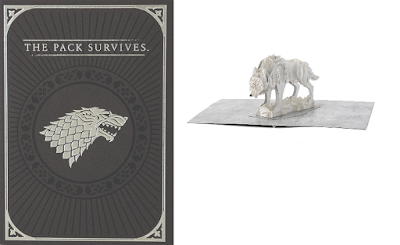 I like the game of thrones candle. I love the Batmobile Pop-Up Card & I know my son would absolutely love it as well. I absolutely love their game of thrones cards. I have friends who would adore them!! Fingers crossed. They also have the batmobile. I also liked the DC Comics Bat call PopCard. I love this concept! I have a little Harry Potter fan at home and he would go nuts over the Harry Potter: Whomping Willow Pop-Up Card! 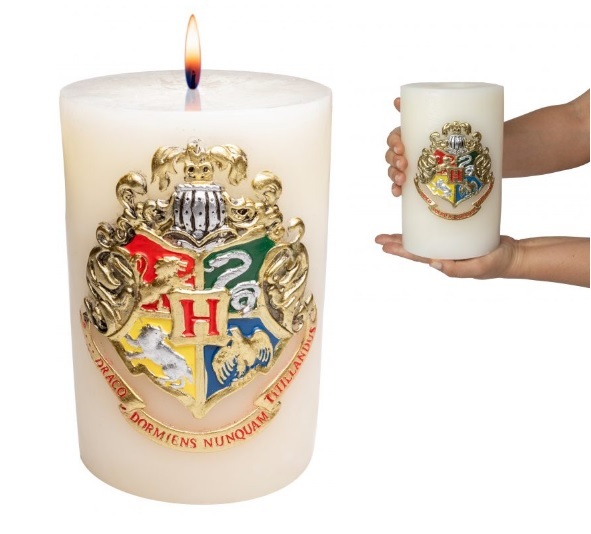 I'm in love with the Harry Potter: Slytherin Sculpted Insignia Candle. Wow the Hogwart's Castle card is amazing! I want to get that white candle. Harry Potter fans in the house. I love how complicated they look! And how many options they have from different movies and tv shows. They look so fun. I liked the DC Comics Bat call PopCard. I like the Harry Potter: Hogwarts Castle Pop-Up Card. I love the game of thrones cards! I love the Hogwarts Express card! I looooooove the Dragon Egg candles! They have DC too but since I'm such a GOT fan it would be hard to chose! I like the Wonder Woman Pop-Up card! I absolutely love the Harry Potter: Hogwarts: The Great Hall Pop-Up Card. I like the DC Comics Batman Quilled Card. I love love love the Harry Potter: Hogwarts Castle Pop-Up Card! That GOT candle would make such a great gift!! They also have game of thrones merch. I learned that there is a DC Comics Wonder Woman Quilled Card available. I like the DC Comics: Bat Signal Pop-Up Card.